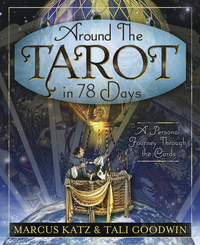 From Marcus Katz and Tali Goodwin and published by Llewellyn Worldwide comes a terrific new book called “Around the Tarot in 78 Days”, a comprehensive and scholarly approach to learning the Tarot through a card a day. Before the adventure begins, we find ourselves packing for the journey by explaining that all you need to start with is a deck of Tarot cards and the workbook itself. Marcus goes into detail about what you may encounter on your way, such as the tarot landscape which includes Landmark Cards (Major Arcana) Signpost Cards (Minor Arcana) Direction Cards (Court Cards) and explains “pitstop points” that are important moments where you can stop and review the fundamental forces that shape our lives so that we can adjust our course and make the most of the flow. Also found in the pages just before the journey are excellent ways to get to know the language of Tarot, a “Keyword Kaleidoscope” where you can learn a wonderful method of putting together key words and phrases in order to understand the messages that the cards may be telling you; how to connect the cards in order to tell a story and a “Compass spread” to get your bearings in the world of Tarot. The Start of the Journey then begins with The Page of Pentacles and includes numerological associations, astrological and Kabbalistic associations as well as affirmations and meditations and continues with this information with each and every card. I was really struck by the information on each card that describes the cards in different settings such as relationships, career, travel and lifestyle and spiritual development. It gives a broader range of how each card relates in different settings. Other subjects like connecting with your card; what each card says,( a description of the message for that card,) keywords and ways that you may find yourself blocking a card. Along the way, there can be found “Wayside Lessons” which serve to teach you ways of understanding the cards in a more meaningful way, “Gated Spreads” which you need to complete at different stages in order to move on to the next level. The book is outlined by chapters such as The Outer Courtyard: The Clockwork Museum; The Labyrinth, The Garden of Delights; The Mountain of the Sun; The Ancient Coliseum; The Chasm of Night; The Pyramid Plaza; The Temple of the King and ends with Gate Ten: The Throne Room. The last pages in this book are an excellent resource that includes links to web-pages that further your knowledge, a reading list; a 78 day Tarot tale; explanations of the Major Arcana as may be found in spreads such as The Celtic Cross; and a wonderful segment on code of ethics,conduct and performance suggestions for professional readers. 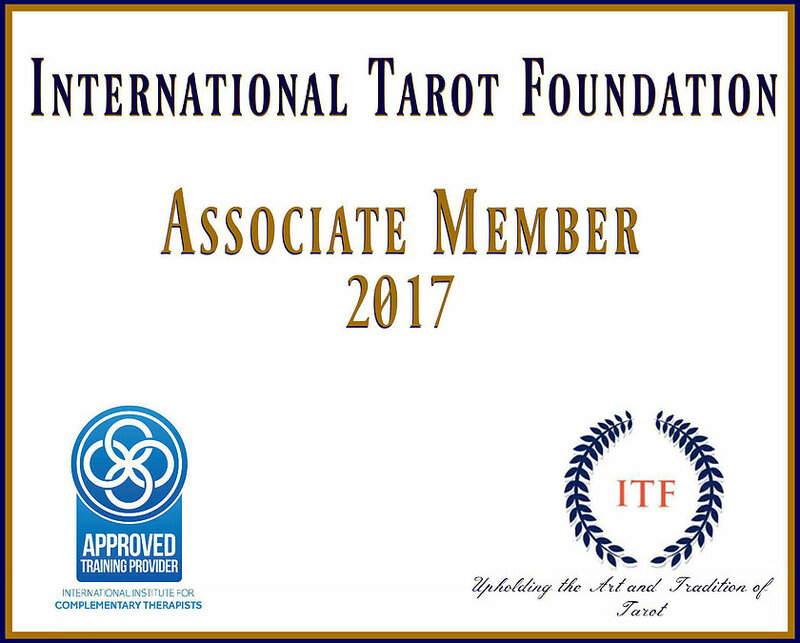 Around the Tarot in 78 Days is an amazingly fun and in-depth way to learn the Tarot and Marcus and Tali make it a real pleasure to learn and grow in your Tarot skills and there is just SO much information in these pages that I could just go on for days about it! I highly recommend this book to beginner’s and experts alike. And I hear that at Tarot Town, there is a class that will be held in October that follows this book, what fun! Great review Liz! I love mine; there is just so much information packed into the chapters.